Product prices and availability are accurate as of 2019-04-22 22:44:36 UTC and are subject to change. Any price and availability information displayed on http://www.amazon.com/ at the time of purchase will apply to the purchase of this product. 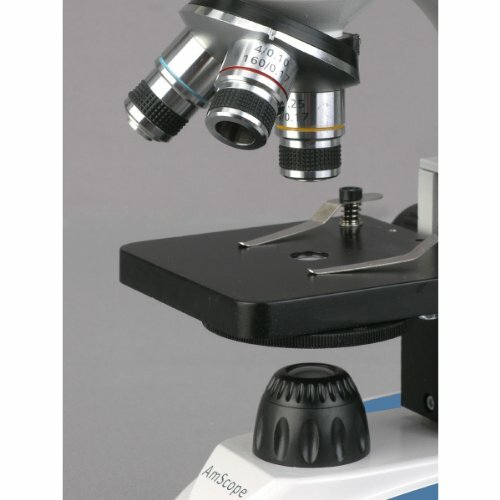 The AmScope M158C-E monocular compound microscope has a 10x widefield and 25x widefield eyepiece, a forward-facing nosepiece with three DIN achromatic objectives, Brightfield LED illumination, a 0.65 NA single-lens condenser, and a plain stage. 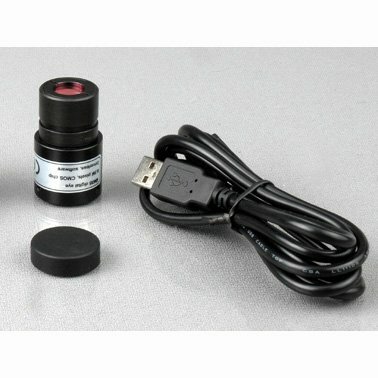 The integrated 0.3MP CMOS sensor has a removable USB 2.0 output to capture or display still or video images on a computer or projector. The forward-facing revolving nosepiece has 4x, 10x, and 40x DIN achromatic objectives that provide color correction of magnified images. The monocular viewing head has one 10x widefield eyepiece on a fixed 45-degree vertical inclination to reduce eye and neck strain and 360-degree rotation capability to provide a more comprehensive view and enable sharing. 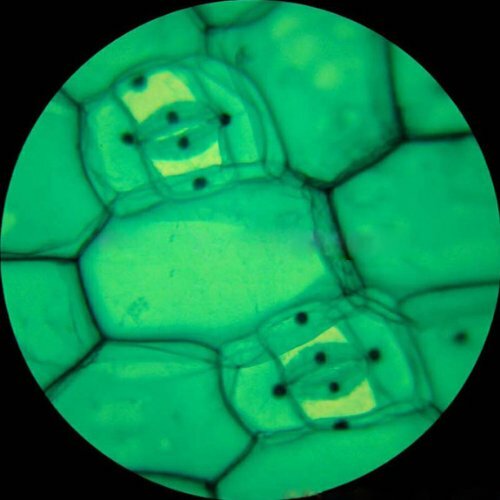 A digital compound microscope is used for inspection and dissection specimens when two-dimensional images are desired, and where image capture, detailed records, or documentation is required. 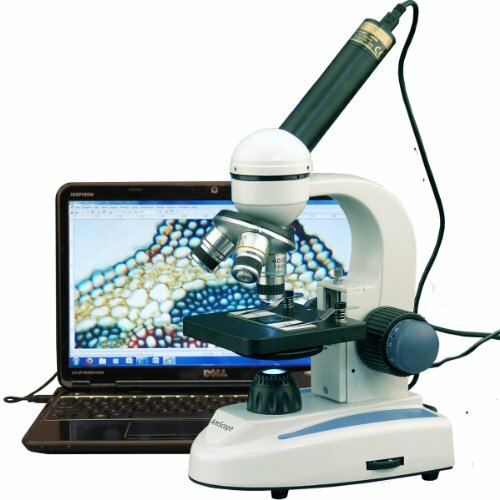 The microscope includes a 0.3MP camera that has a CMOS color sensor for displaying still and video images, or streaming live video to a computer or projector. The Brightfield (BF) camera-type produces dark images on a light background. The camera can be mounted in any 23mm, 30mm, or 30.5mm eyepiece, and is compatible with Windows XP/Vista/7/8/10 (includes drivers). The camera includes a Windows-only compatible image capture and editing software package that provides still image and live video capture and editing. The software supports JPG, TIF, GIF, PSD, WMF, and BMP file formats. Editing features include stitching, EDF (extended depth of field), note insertion, and adding shapes and watermarks. The microscope has lower (diascopic) Brightfield illumination that transmits light up through the specimen for enhanced visibility of translucent and transparent objects. 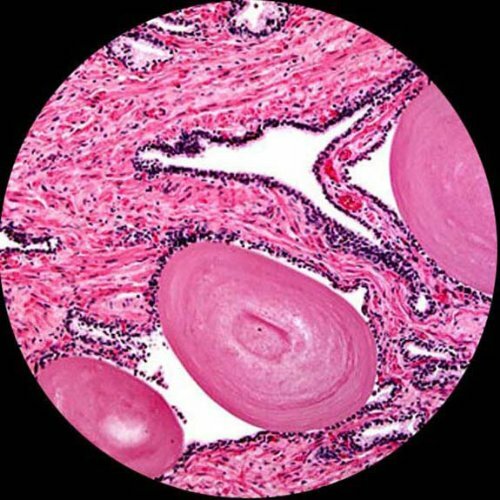 Brightfield (BF) illumination allows the specimen to absorb light, resulting in a dark image on a light background. LED illumination provides bright, cool light for working with temperature-sensitive or live specimens. The 0.65 NA single-lens condenser and six-hole disc diaphragm control the amount of light illuminating the specimen. Coaxial coarse focus eases use for young viewers. The plain stage has an opening for light transmission and stage clips to secure the slide or specimen in place while viewing. A stage stop prevents the stage or specimen from coming into contact with the objectives. 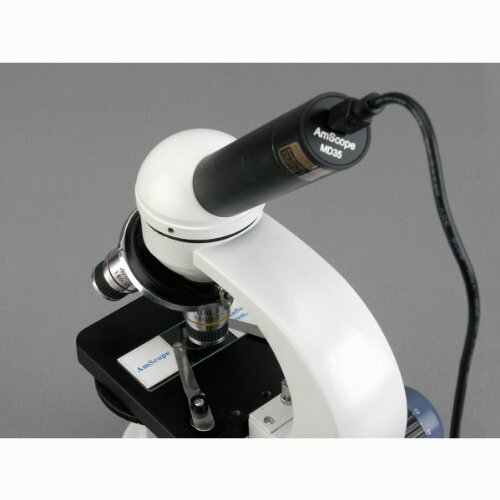 The microscope has three AA batteries (sold separately) and a power adapter to allow the microscope to be used away from power sources. The solid-metal frame has a stain-resistant enamel finish for durability.